The Walking Dead is one of those shows with an immense following, and those fans that muster up enough courage to duke it out with the zombies each week know what dangers loom on the horizon. This killer and borderline epic zombie apocalypse show has taken a break for a while, but it’s return is coming around the corner quicker than we can say, Holy Crap There’s A Zombie Eating His Face Off! It’s my job to spoil surprises for you (and let me tell you I’m very good at spoiling surprises), but only if you allow me to do so. Below there are some Walking Dead Season 3 Spoilers. Check them out. If you dare. I swear there isn’t an angry horde of zombies waiting for you. AMC released another video and it shows Rick trying, as always, to be a fearless and over-the-top badass. But what Rick isn’t expecting this season is another individual with an equal amount of badassery and power. The Governor will definitely give Rick and his cohort a run for his money. The preview says that the battle will take place “at the end of the world,” and I simply love that imagery. Sure, it’s a bit cheezeballs, but it is so effective in describing the turmoil these poor individuals are about to experience. Apparently in Walking Dead season 3 episode 14 “Prey,” Daryl will be force to become the leader. *Gasp* With this info we gotta ask, where will good ol’ Ricky boy go? Will he be captured? Or worse . . . could he be killed off? I don’t think that’s totally outside the realm of possibility. Glen M, exec producer, is planning on doing some major shake ups before he calls it quits. 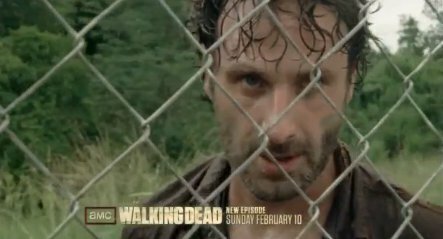 In Walking Dead season 3 episode 15 “The Sorrowful Life,” Rick is betrayed by someone. So, we know Rick makes it to at least episode 15. But what’s his fate beyond that? Who will make it out of this war alive? Who will get the axe? Let us know what you’re looking forward to when the show returns February 10 on AMC!